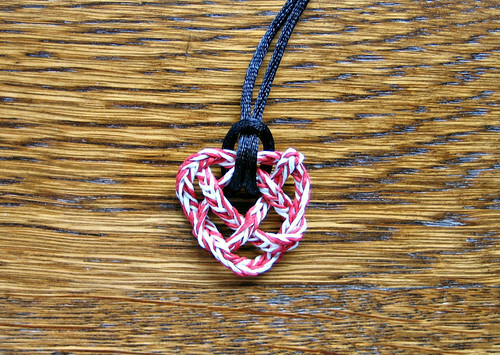 Maybe there's just enough time to squeeze in one more DIY Valentine paper craft project - a nifty heart knot necklace - before the big day.... talk about last minute. But it's super-quick, I promise! ... which was all well and fine except that I've had it in mind ever since to actually make something with it, but what? 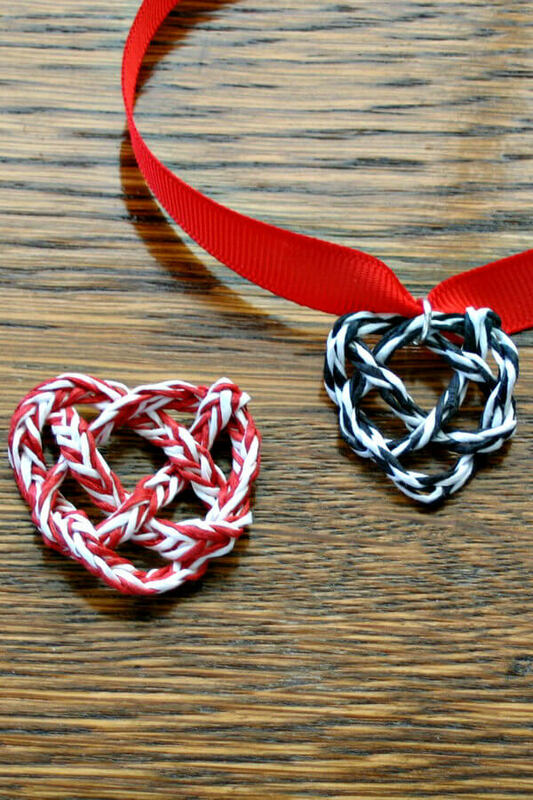 When I happened upon this YouTube video by TyingItAllTogether that shows how to create an ingenious heart-shaped knot, I knew I'd found just the ticket! First, I used five strands to make a braid (about a 12-14 inch finished length) so it would be a thicker cord and then I made a heart, starting and stopping the video until I got the hang of it. A knot takes less than 30 seconds once you've watched a few times. To finish it off, I glued the ends at the top with Crafter's Pick - The Ultimate and trimmed the excess. 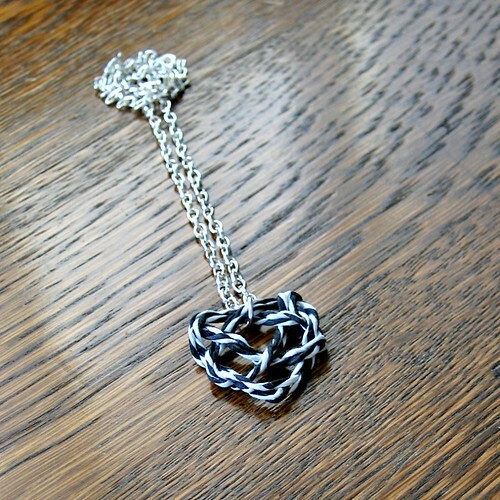 I turned the heart into a necklace pendant by slipping it onto a length of black silk cord, easy-peasy. 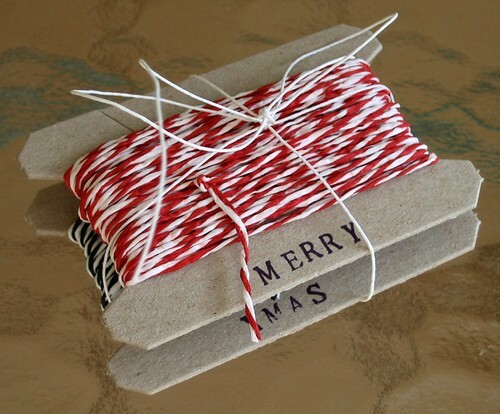 Elementary school kids might enjoy making these for their friends.... paracord would be a good alternative if you don't have paper twine. 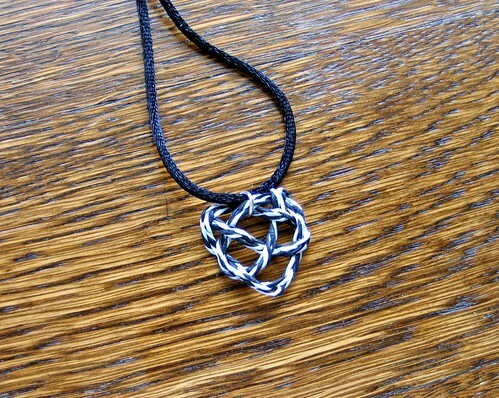 For the black and white heart, I did a three strand braid and added a jump ring to hold the cord. And last, but not least, dressed it up a little more with a silver chain. So there you go... lots of options. Paper twine/yarn/string - I've seen it called by all three names - is very strong and can even get wet without any ill effects. Linda uses paper yarn to make lovely things. 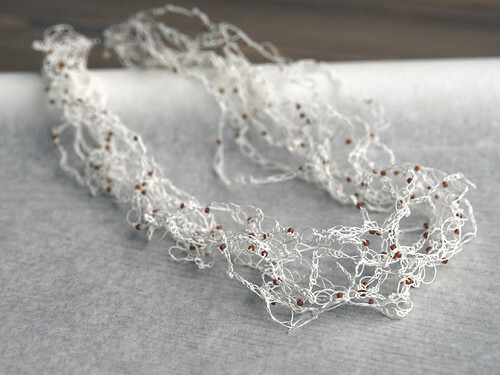 In fact, she designed this sophisticated crocheted necklace from the finest paper twine... you can learn to make it too because it's one of 20 projects in the All Things Paper book. Speaking of which, there is a 5 copy giveaway - woot! - going on now over on GoodReads. Enter through March 3, 2014.
love your heart yarn necklace ann!! bith colour ways are fantastic!i love linda's paper twine...it's amazingly strong and colourfast. Oh man! I love your blog. So many ideas. You find the sweetest ideas Ann. Grabbing my string now! Thanks for always finding these gems, Ann!